Things are bad in the Gulf of Mexico. 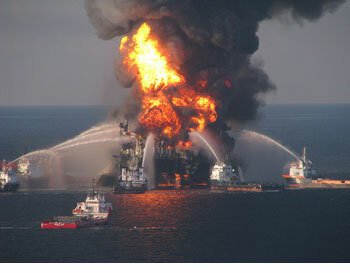 Oil is gushing out of the ill-fated BP well. The spill is out of control, despite the best – even heroic – efforts of many industry and government players. There’s no quick solution on the horizon. In my view, things are likely to get worse before they get better. So where do we, at Outstanding Investments, go from here? What does the Gulf of Mexico disaster mean to the many offshore deep-water-related companies in the OI portfolio? Don’t Panic. Don’t succumb to screaming headlines. For as bad as the Gulf of Mexico disaster is – yes, it’s bad – I’m not recommending that you sell out. I’m convinced that offshore development will continue, and it will continue in deep water… It’s just a scientific, geologic fact that much of the world’s future oil supply is offshore, under deep water. Despite the offshore Gulf disaster, there is still a global push for oil from deep water. Right now – and there’s no nice way to say it – the situation is truly ugly. There’s a major oil spill to control and clean up. In the US, we’re certain to see much tighter regulation and higher costs for working offshore. And d’you know what? That’s fine. There’s no such thing as being ‘too safe’ in an ultra-dangerous environment. But danger or no, offshore energy development is NOT going away.